This 6-digit nixie clock runs off a PIC 16F628 using a program written by Steve Rougier. The anode drivers consist of high voltage optocouplers, and the PIC provides sufficient signal voltage to activate the optocoupler LEDs via a 1K resistor to ground. The power supply consists of a small voltage doubler with two 10uF capacitors from 120V mains to get about 300 volts. An approximately 30K 2W resistor dropped the 300 volt source to 5 volts for the clock logics including the PIC. 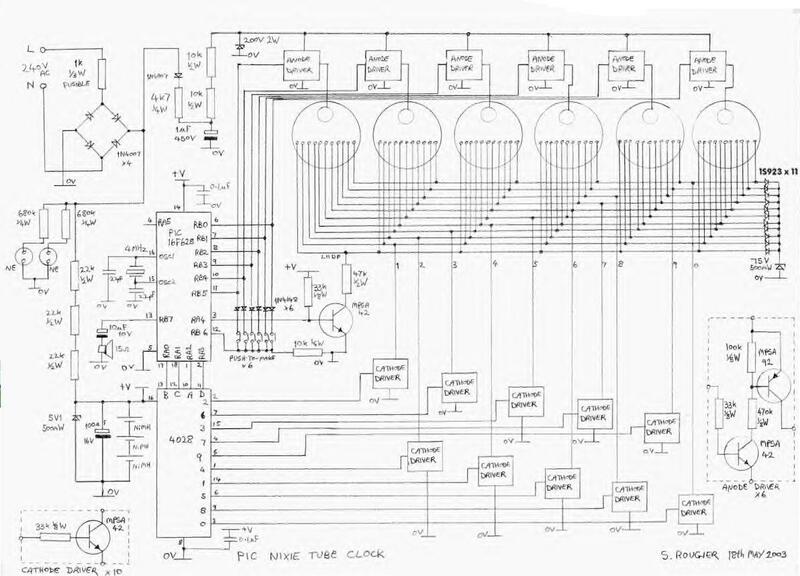 Otherwise, the circuitry is identical to the version provided by Steve Rogier. Steve used to host a website with information about the project, but it has gone defunct so the information provided here is the only copy of the information I have from his website. Since I did not want to use all the features of the program, I only used 4 buttons for changing mode, hours, minutes, and to reset the seconds. According to my notes, the buttons did not seem to correlate to the suggested pinout ordering in the schematic. My notes indicate that I figured out Button 1 = RB3, Button 2 = RB1, Button 3 = RB4, and Button 5 = RB0. I built a case using two layers of cedar wood glued together with the bottom piece cut out. The case was cut and sanded down to appear like a big wooden speedbump, then the six holes were cut out for the nixies. Since I did not have sockets for the nixies, I carefully soldered the wires directly on the pins of the nixies themselves. This is a very delicate job as the heat can crack the glass and render the nixie useless. 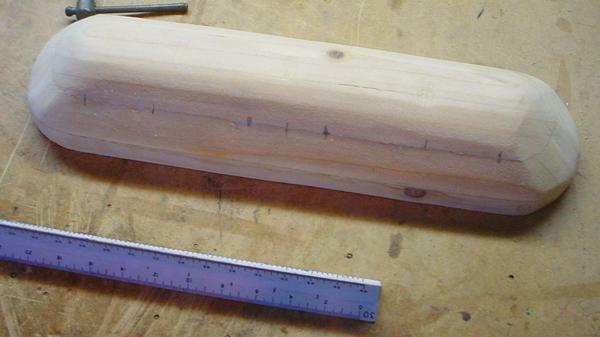 The case before drilling and staining. 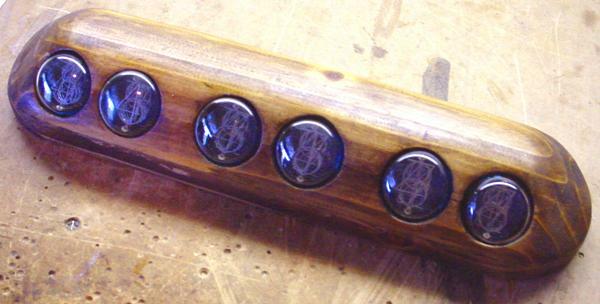 The case after staining and the nixies glued in place. The inner walls of the holes were painted black beforehand. The completed innards of the clock. This picture was taken at the instant the time rolled over to 4:00:00 so these digits began to fade in.